Christmas is a time of surprises. We love to see the look of excitement and surprise on the faces of children as they open their Christmas presents. Perhaps, as adults, we even get surprised at times when we open a gift we didn’t expect. The Christmas story is full of people who weren’t expecting God to come to earth as a baby. When the angel announced to Mary she was going to have a baby – she wasn’t expecting that! What is more, when the angel said her baby was son of the Most High God – she wasn’t expecting that! When Joseph was told that Mary was pregnant – he wasn’t expecting that! When Mary and Joseph got to Bethlehem and Joseph wanted the best place for Mary to deliver her child and all he could find was a stable for the animals – he wasn’t expecting that! We heard about the shepherds and the message of the angels in our gospel reading. These poor shepherds were the first ones, apart from Mary and Joseph, to hear the news of the birth of the Savior. The angel said, “To you” – not just to the rich or the powerful or the well to do, but “to you,” poor, common, every day shepherds – “to you is born this day in the city of David a Savior, who is Messiah, the Lord.” That God would choose them to be the first to hear this Good News, and that this Good News would be for them – they weren’t expecting that! When King Herod was asked by some Wise-men from the East about a new born king – he wasn’t expecting that! The Wise-men brought special gifts. They expected to see a prince living in a castle. They knelt before Mary’s baby – Jesus, lying in the manger, a feeding trough for animals, in a barn – and they worshipped him. 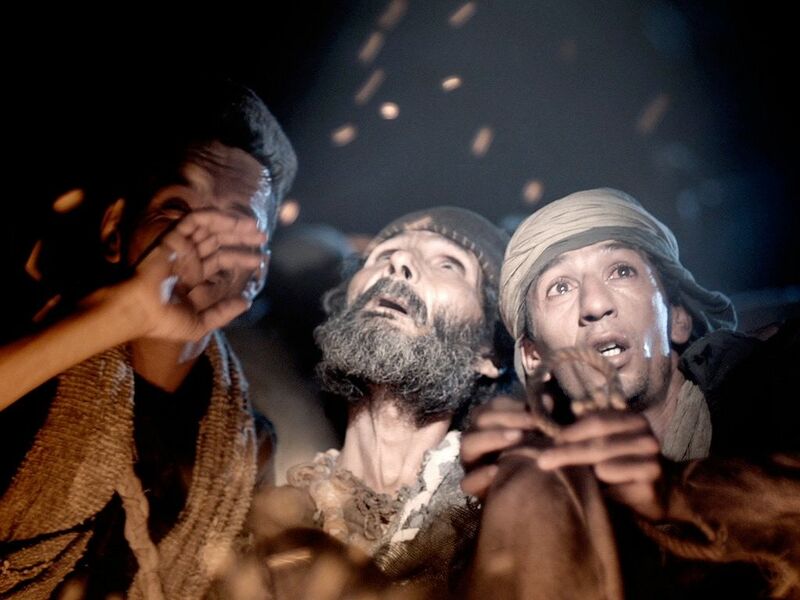 They saw the Son of God living in poverty – they weren’t expecting that! And yet, they believed that this was the Son of God, that this was the King promised by the Old Testament prophets. The Christmas story really is an unusual story, an unexpected way for God to come and save his world, and his people, lost in sin. In 2012 book titled “An Unexpected Christmas”, author Simone Graham depicts a scene in heaven, where God is speaking to his angels and says, “I feel so far away from my kids down there. I think it’s time – time for us to step in”. The angels discussed what God might do. They had seen all the evil and sin in the world, and the angels suggest that God send down an angel army or at least someone very powerful to deal with what is happening on earth. ‘Wipe out the bad guys’ – that’s what the angels suggested. But God said no, that he would send his son – not as a warrior prince but as a baby whose mother will be a girl living in poverty, who will give birth to him in a stable. As we heard – no one in heaven was expecting that. So why did God choose this plan above any other plan? For God there was only one plan that would work. It was a plan that grew out of his love for all people. The only way he could rescue them completely from their own destruction and trouble was to send his son to become human just like them. •	He was born of a human mother just like we are. •	He had brothers, sisters, grandparents, cousins, uncles and aunts just as many of us do. •	He knew the struggles of growing up and learning new things, and he did and felt everything that we do. •	He knew loneliness and sadness, tears and joy, just as we do. •	He felt pain and experienced struggle just as we do. That God would humble himself and become like us – no one expected that. Then, when Jesus became an adult, he started speaking God’s Word, teaching about the Kingdom of God and living God’s way. He healed the sick, raised the dead and stopped storms, and even challenged the religious authorities. No one expected that! Jesus’ enemies had him arrested, tortured and put to death on a cross. His disciples didn’t expect that! Before he dies he doesn’t curse his enemies but cries out for all to hear, “Father forgive them”. No one expected that! A criminal, someone convicted for his crimes and sentenced to death was on a cross next to Jesus and says to him, “Jesus, remember me when you come into your kingdom.” And Jesus answers, “Truly I tell you, today you will be with me in paradise.” No one expected that! A couple of days later, women go to the tomb where Jesus is buried and they’re greeted by angels who tell them that Jesus has risen from the dead. When they tell the disciples, they didn’t believe them, because they weren’t expecting that! When you look at this rescue plan of God in its totality it seems a bit crazy. No one expected God to save humanity in this way. But look how effective that plan was. The angels who announced the birth of Jesus to Mary and Joseph and then to the shepherds told about the good news that brings great joy to all people. “To you,” and to all the ‘you’s’ in the world, “is born a Savior.” His name is Jesus, and name that means “God saves,” because he will save people from sin, death and give eternal life to all who trust in him. And there are billions and billions of people who have believed this good news over the centuries. Christmas shows us that God does some unexpected things and works in some unexpected ways. In the same way, expect God to work in unexpected ways in your life. And it might happen that in the end you will say, “I wouldn’t have expected that!